In the ratings of most alcoholic cities in America, the first cities that come to mind is Las Vegas. Surprisingly, a city just eight hours north made Time’s Magazine top ten most drunken places. Reno, Nevada inhabits a diverse demographic of retirees and college students. With a residency of 233,294, Reno is just a fraction of it’s larger sister Las Vegas’s quickly expanding population of 603,488. Still, bars are within walking distance of the University’s campus, the center of the entire city. Hotels and casinos may appear to dominate the downtown scene, but it’s the college bars that see the most service. Nightly, these bars offer happy hours and running discount programs for university students. It also seems surprising that downtown bars are the most popular hang out spots since the beginning age for college students is 18, a far cry from legal drinking. In order to counteract the major issue of underage drinking, Channel 8 News stages a sting operation testing several businesses and their employees abilities to detect fake ids. All 28 locations passed their test. Sadly, this sting was not a real life depiction of the Reno drinking scene. 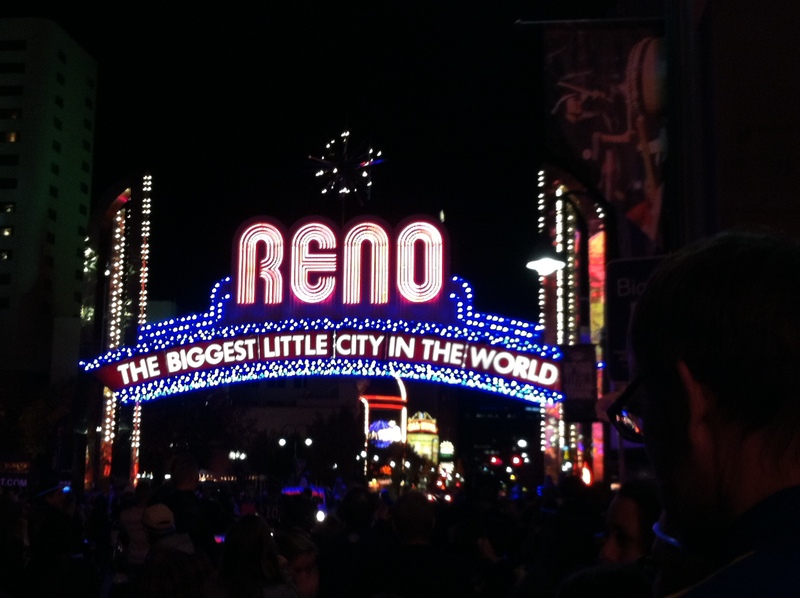 Every months, the City of Reno hosts a bar crawl or a wine walk. Several of the crawls are holiday oriented including the santa crawl and the zombie crawl. However, the bar hops are not limited to seasonal dates. During the summer months, Reno hosts pirate crawl and superhero crawl. The city comes together dressed up in their most outrageous outfits to filling their custom pub cups at each bar. The popularity of these events grows more and more each year. And it’s not mostly permanent residents that come out to drink. The crawls and wine walks are dominated by college students, most no where near 21. With so many way to get substitute id’s, it’s inevitablele that students wouldn’t attend. Not only are they supporting their cities biggest products, their continuing the tradition of the prominence of alcohol in Reno. Water Parks in Las Vegas? I did not know that Reno beat out Las Vegas as a top ten drunkest city. Your post kind of makes me want to go to Reno and participate in the zombie crawl, but at the same time it highlights the problem of underage drinking as well. The photos show the prevalence of alcohol and the bar scene in Reno. Your title grabbed my attention! I knew that Reno beat Las Vegas, but most people don’t. Also, I like that you wrote this post like an actual article. I’ve been writing mine like blogs, but enjoy reading traditional structure! It makes me want to do it more. The bar crawls aren’t that terrible haha I went to Zombie crawl. I turned a bunch of fraternity boys into the living dead…..mad pintrest make-up skills. I LOVE THIS! I like your opening, i was expecting your blog to be about basically another Vegas is cool rant… But when i realized it was about Reno, I was sold. I didn’t know much about Reno until now! Great details also. How interesting… I would have thought Las Vegas would top the list before Reno! However, I can see how a college town would cater to the alcohol industry and make drinking more readily available than a bigger city with more diversity. I had never heard of these bar crawls in Reno! I think that’s definitely something that differentiates them from Las Vegas. Could you imagine trying to make something like that happen here?